Pockets for cash and cards on the inside of the case. Personalised on a gorgeous leather case. We carefully and beautifully printed your photo on the leather surface. A case that full protects your phone and acts as a wallet. 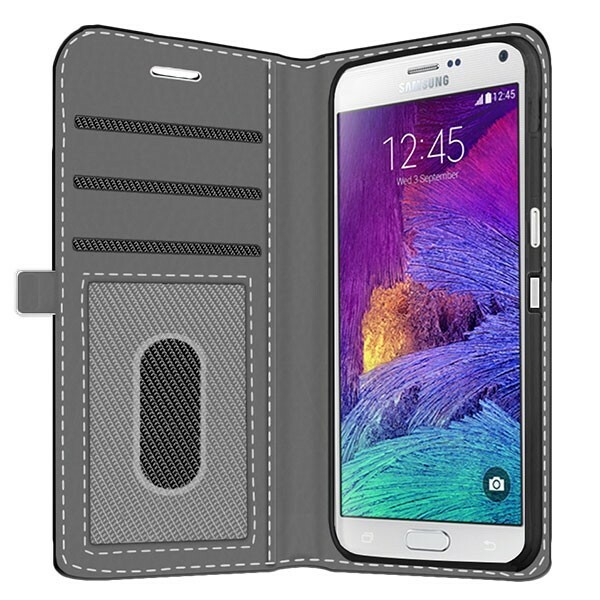 With a personalised wallet case from GoCustomized for your Samsung Galaxy Note 4, you not only protect your device from scratches and dents, you give it a personal touch of style. In addition, the wallet case has handy card and money slots which turn your case into a multifunctional piece of equipment. The two most frequently used items that we carry around with us on a daily basis are our phones and wallet. Why not combine the two to make your life a little easier ?! Make your own design for the case. Want to make a case that no one else has? With our design module you have everything you need to make that happen. 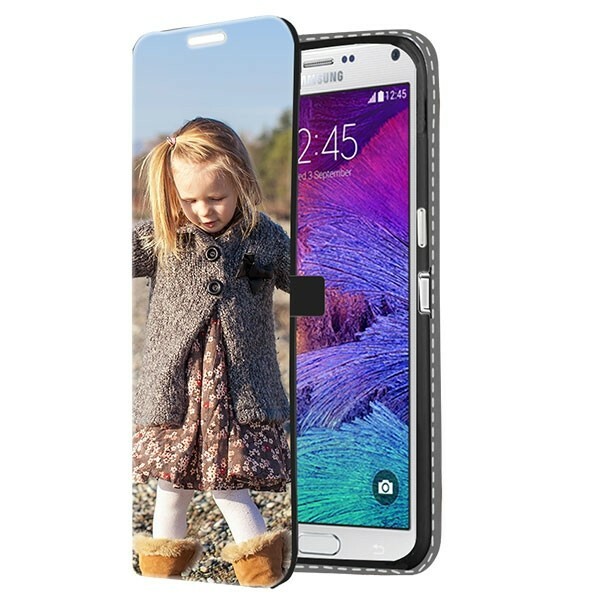 In our design module you can upload any of your favourite images to personalise your Samsung Galaxy Note 4. There is an added tect module which allows you to add some personal text in many different fonts and colours. Dont have any inspiration right now? No worries. Check out one of our pre-made design or have a look at our Pinterest page for ideas! What happens when I order my case? 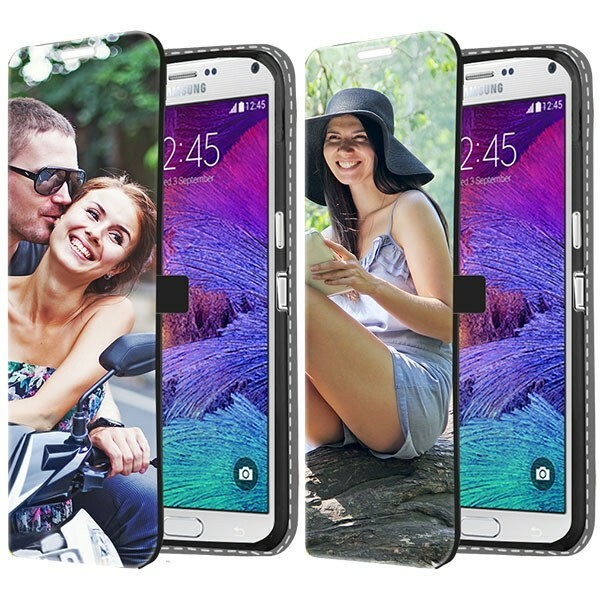 Once you are satisfied with your design, press the order button so we can get started making your case. We only use the best materials here at GoCustomized to make your one of a kind Samsung Galaxy Note 4 case. We ensure that your case is on its way to your within 24 hours of purchase!